At the outset of the 20st century in their village in Hungary the Sivó family was producing remarkable fruit brandies. Their equipment may have been rudimentary but due to their craftsmanship the products were recognised for their quality throughout the county. Today, the distillery Sivó is located in the Montérégie. 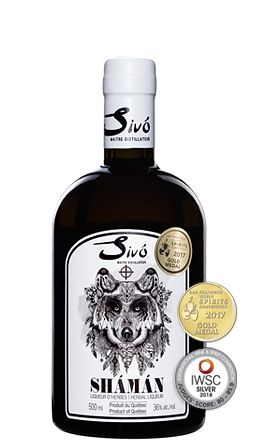 It uses highly refined methods of micro-distilling yet aiming the traditional objective: the highest quality that made the reputation of the Sivó family. Québec malted barley is freshly and perfectly milled in our distillery. No color is added to this product. A powerful, racy and elegant whisky results, with fruity perfumes. Its Sauternes cask finish gives Le Single Malt Sivo roundness and softness, as well as fine notes of candied fruit and pastry. Designated « best Rye in Canada » by the Toronto Whisky Society, le Rye’s maturation reveals the grain’s complex aromas, while putting forth it’s fruity perfumes, spice and pepper notes, and a subtle woody accent. Le Rye Sivo is distilled from local Quebec rye (2/3) and malted barley (1/3), and is matured in new European medium and high toast oak barrels of 225 L, then finished in Port barrels. No color is added to this product. This whisky presents characteristic spice and pepper notes, and great personality. 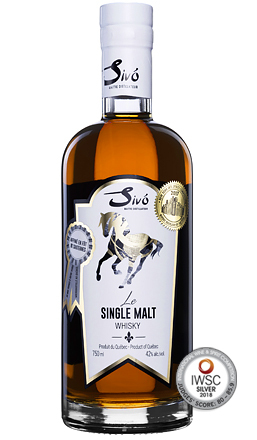 Its finish in Port casks gives Le Rye Sivo subtle fruity and roasted notes as well as pleasant richness. Rebel is pure and gentle, yet with the character of a thoroughbred. It is made of two-third of rye and one third of malted barley, champagne yeast and the crystalline waters of Covey Hill. The micro-distilling in a pot still specifically designed to preserve the aromas of the grain makes it astonishingly silky. Its fruity register of pears and peaches is augmented with some exotic notes and a hint of pepper. Shámán is a bitter herbal liqueur with origins in Bavarian monasteries. It has been revived with the respect and love of Quebec artisans to meet the taste of our generation.  Shámán aims nothing less than becoming a legend. Served cold, straight as a shooter Shámán will surprise you with its powerful, bitter and floral taste.  Developed with the assistance of mixologists, Sháman has a relatively high % alc. vol. and a low sugar content that will make it also ideal in cocktails. Discover an ancestral secret and let the magic work ! Valkyries were Odin’s handmaidens, choosers of the slain. Only one Valkyrie stands above them all. Sivo Valkyrie. Sharing many parallels to gin, this aquavit is comprised of only the finest and carefully selected botanicals united in perfect harmony. 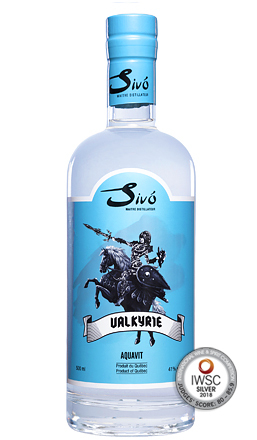 With its unique character Sivo Valkyrie possesses alluring aromas of coriander, caraway, and fennel, with a delicate hint of sweet fruits. Enjoy the unrivalled Sivo Valkyrie aquavit neat or as a substitute for gin in cocktails. SIVO Raspberry eau-de-vie is a unique product in Canada, incredibly aromatic, and made in from local raspberries, in part from our own farm in Franklin Quebec. It is of ultimate purity and made artisanally. Our raspberry eau-de-vie is particularly aromatic, with a strong fresh raspberry nose. It is smooth and fruity, with a long finish. A true delicacy and pleasure! Serve cold or at ambient temperature according to taste. This eau-de-vie is also a very exciting addition to innovative cocktails. Our rhubarb liqueur’s aroma, taste and color is solely derived from the fruit, a simplicity and purity like no other. It has a beautiful pink hue, one just wishes to indulge! Its aromas and flavours are purely of rhubarb, delicately sweet and tangy. This liqueur is perfect as a digestif. It is equally an essential ingredient in numerous cocktails. 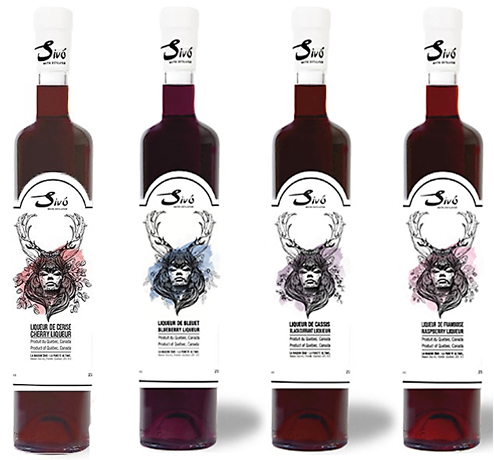 SIVO fruit liqueurs: cherry, blueberry, blackcurrant and raspberry. Made from our farm’s fruit, these liqueurs are produced from our cultivation in Franklin, Quebec. The liqueurs are made by using a combination of fermentation and maceration. No water or additves are added during production, the liquid is purely from the fruit and alcohol. The fruit is delicately pressed in order to exude a maximum of desirable aromas. Our liqueur’s aroma, taste and color are purely derived from the fruit, a simplicity and purity like no other. Sivo fruit liqueurs are perfect as a digestive. It is equally an essential ingredient in numerous cocktails.